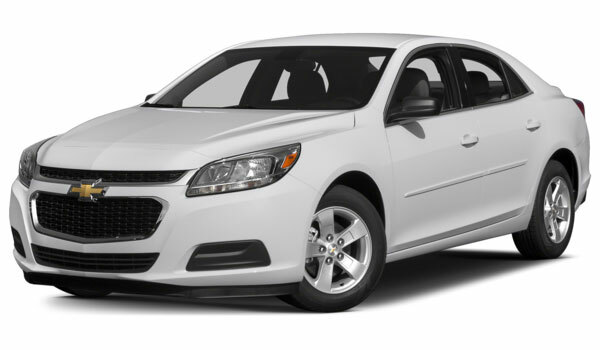 The 2015 Chevrolet Malibu is a midsize sedan that offers drivers sophisticated styling, a balanced powertrain, an extensive list of standard and optional features, and an outstanding cabin. Better still, it is accessibly priced and comes backed by several generous warranties. Drivers who want to stretch their car-buying budget further and get more from their next vehicle purchase owe it to themselves to consider the newest Malibu. Find out how it compares to the 2015 Ford Fusion, then make the short drive from Bloomingdale to check it out in person at Sunrise Chevy located in Glendale Heights. The midsize sedan segment is known mostly for its practicality. The 2015 Chevrolet Malibu is one of the few offerings that also serves up ample amounts of power and sporty driving dynamics, beating out in terms of performance. The standard engine is a 2.5L four-cylinder that puts out an impressive 196 hp and 191 lb-ft of torque. If you require more power, an optional turbocharged 2.0L four-cylinder delivers 259 hp and 295 lb-ft of torque. In the Ford Fusion, the standard engine is also a 2.5L four-cylinder, but this one only provides 175 hp and 175 lb-ft of torque. Maximum available power also falls short of the Malibu. A turbocharged 2.0L four-cylinder puts out an underwhelming 240 hp and 270 lb-ft of torque. Despite being more powerful the 2015 Chevrolet Malibu is also more fuel-efficient, helping drivers to pay less for gas each month and cut down on their transportation costs for as long as they own the car. Malibu MPG: Fuel efficiency for the 2.5L four-cylinder engine is rated at 25 mpg city and 36 mpg highway, and for the turbocharged four-cylinder it is rated at 21 mpg city and 30 mpg highway. Fusion MPG: Fuel efficiency for the 2.5L four is rated at only 22 mpg city and 34 mpg highway, and for the turbocharged four-cylinder it is comparable to the Malibu and rated at 22 mpg city and 31 mpg highway for AWD versions. The 2015 Chevy Malibu is available at six distinct trim levels compared to the three available for the Fusion, giving drivers more choice over the kind of vehicle they ultimately purchase. At each of those trim levels the Malibu also offers up more of the features that today’s drivers are looking for. Malibu Features: The introductory Malibu trim comes with Bluetooth connectivity, a six-speaker stereo, and the OnStar telematics system which enhances safety and turns the car into a 4G LTE mobile Wi-Fi hotspot. Other features you will only find on the Malibu include a 120-volt power outlet, a standard sunroof on higher level trims, and a cargo net in the trunk. Fusion Features: The introductory Fusion trim does not come with Bluetooth, has only a four-speaker stereo, and a telematics system is not available at any trim level. Neither is a 120-volt power outlet or a cargo net, and a sunroof is only available as a cost-added option. Chevy knows how reliable the latest Malibu is, which is why they have backed it up with some of the best warranties in the industry. Enjoy peace of mind with the 2015 Chevy Malibu, which comes with a drivetrain/powertrain limited warranty that provides 100,000 miles of protection as well as 100,000 miles of complimentary roadside assistance. 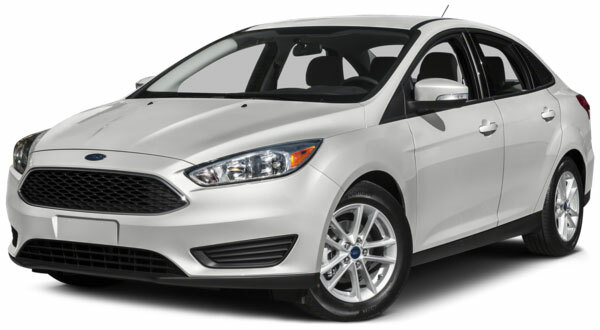 The 2015 Fusion comes with a drivetrain/powertrain warranty that runs out after just 60,000 miles, and complimentary roadside assistance that also runs out after 60,000 miles. In independent crash tests the 2015 Chevrolet Malibu has been proven to be safer than the current Fusion. The NHTSA gave the Malibu a perfect five-star overall rating, and the IIHS have the car top scores in each one of the crash tests they ran it through. The NHTSA gave the Fusion just four out of five stars for side-impact protection, and the IIHS rated it as only “Acceptable” in the important small-overlap frontal-offset test. Find out just how impressive the Malibu really is by experiencing it in person at Sunrise Chevrolet, located at 414 North Avenue in Glendale Heights, Illinois. Getting here from Bloomingdale takes just 10 minutes if you follow Glen Ellyn Road south and look for us just west of The Brunswick Zone. Visit us for sales Monday through Saturday, or contact us with questions about the new Malibu at anytime.